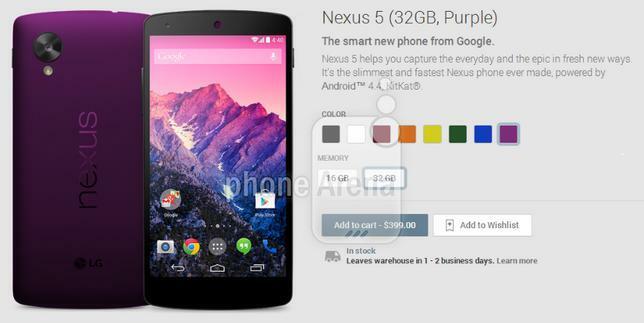 Google’s line of Nexus devices have always focused on pure usability over flashy design, but the company may take a note from Motorola’s book to help boost Nexus 5 sales. A leaked video obtained by Phone Arena shows what appears to be a test version of Google’s Play Store where customers can choose between six new color options for the stock Android handset. It’s still a far cry from the Moto Maker, which lets you customize the back, front and accent colors for the Moto X, including a number of wood options for the back panel, but for Google this is a big step toward competing seriously with other smartphone-makers. 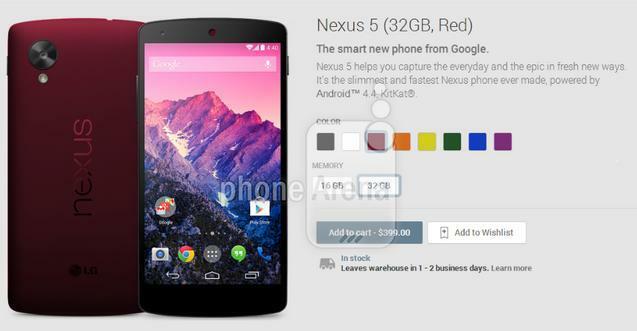 Based on the somewhat grainy video, you may soon be able to order the Nexus 5 in red, orange, yellow, green, blue or purple along with the traditional black and white options. While the video and photos appear to be the real thing, there’s no guarantee Google will ever roll out this feature. 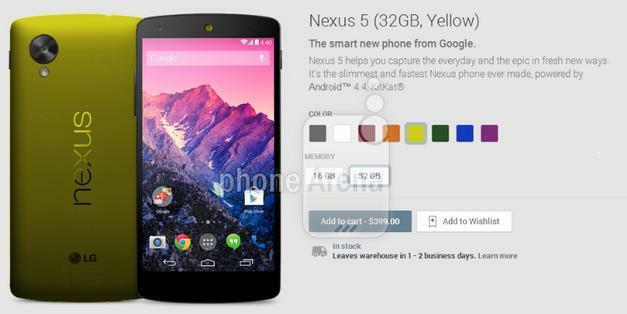 It’s possible the company is simply testing out the idea for future devices, using the Nexus 5 as a template. But if Google does offer new customization options for its current flagship handset we’ll probably be first in line to order a new one. Update: Some sharp eyed folks are pretty confident this is a Photoshop job. Nothing is ever official until a company confirms it, so we’ll take these as mockups for now.